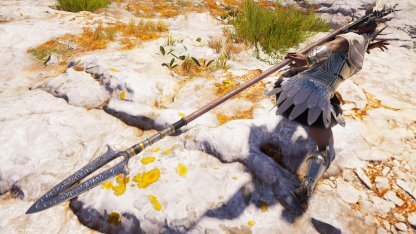 Check out the stats & how to get the Legendary weapon - Falx of Olympos in Assassin's Creed Odyssey! Unique Perk - "+100% Damage but Health Capped to 25%"
The Falx of Olympos provides a massive boost to Damage but will cap your health to 25%. This can be effective for players who are confident in their dodging & survival skills. 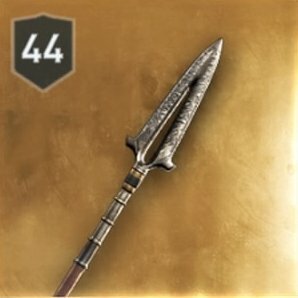 This legendary spear does minimal boosts on Assassin Damage & Adrenaline gain per CRIT but in the hands of the fearlessly experienced, it can be a brutally damaging weapon. The Falx of Olympos can be found from a chest inside the underwater Palace of Amphitrite in the Volcanic Islands. Check Out Full Map & Locations! 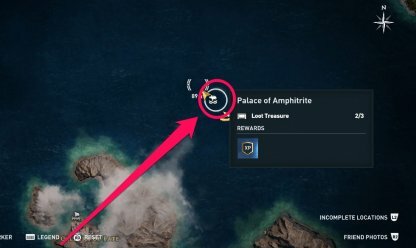 The Palace of Amphitrite can be found north of the island of Thera. It is an underwater treasure site.